Yogurt | Winners Drink Milk! 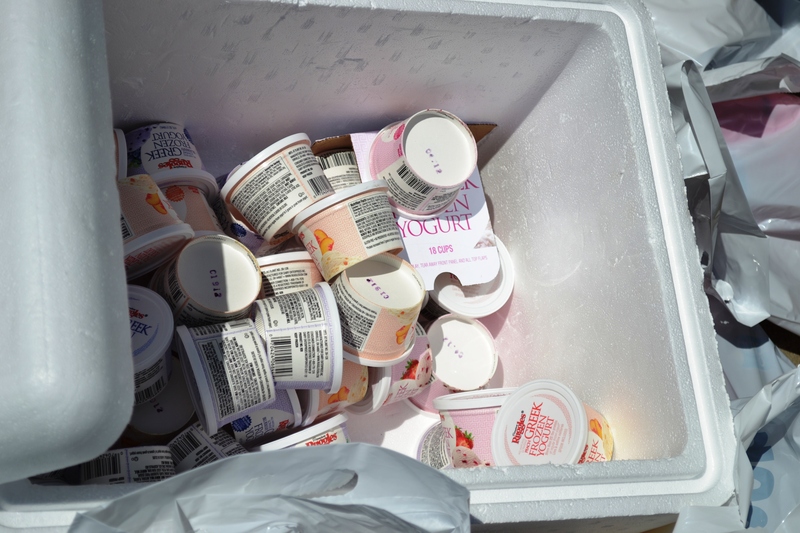 The Indiana Dietetic Association passed out Smith Dairy's frozen Greek Yogurt during a farm tour. People loved it! Thick, rich, protein-packed Greek yogurt is the hottest food right now and dominating the dairy case. What makes this yogurt so amazing you ask? First, it has twice the protein compared to traditional yogurt. This is great for weight management. It also has a creamy, thick texture. Now watch for this trend to continue into the freezer section. There are many brands that already have Frozen Greek Yogurt such as Ben & Jerry’s and locally, Smith Dairy, just to name a couple. Foodies are calling it Greek Fro-Yo! Shape magazine broke down three different brands for you. Not all Greek frozen yogurts are created equal. They do all contain digestive system-friendly live active cultures. However, the nutrition content will differ among flavors and brands. Make sure you look at the Nutrition Facts Label and check out total calories, protein and the ingredients. I personally love the frozen Greek yogurts and think this is a frozen dessert you should treat yourself to! If you haven’t tried it, go to any supermarket and give it a whirl. 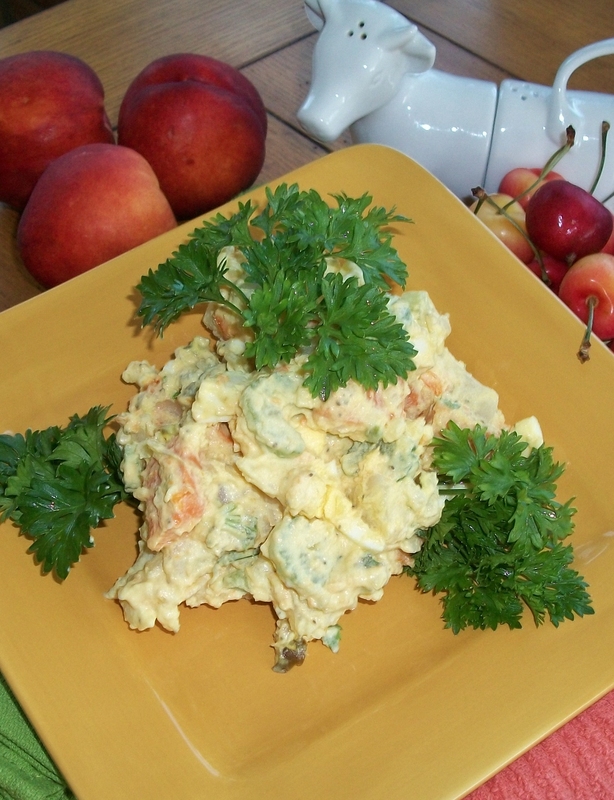 It will satisfy your sweet tooth and provides protein and other nutrients. This morning I was listening to the radio and heard an alarming statistic: Millions of Americans make a New Year resolution to lose weight, and by the second week of January, 92% of people have already ‘fallen off the wagon.’ They have blown their diet and are back to square one. I dedicate Healthy Weight Week to those 92%. Healthy Weight Week is January 15 – 21. I know a lot of people want that quick fix but that simply won’t last. It really does take a lifestyle change. Many people reading this are rolling their eyes right about now. But honestly, it does take small gradual changes. You have heard it before – physical activity, smaller portions, eat from all the foods groups, lots of water and the list goes on. So I will give you another tip that you can add to your list. Try adding a little protein to each meal. Infusing your diet with foods and beverages made with high-quality protein can help space protein intake throughout the day and help curb hunger. Protein takes longer to digest and helps stabilize your blood glucose levels. That means your stomach feels fuller for longer periods of time. When that happens, you may look at food that you would normally be craving only to decide you simply are not hungry. When your glucose (aka blood sugar) levels are low, you feel hungry. If you start out the day with a good source of protein and/or fiber, you may be well-nourished until lunch, which will help you avoid overeating or overindulging while waiting for noon to arrive. Your body uses protein all day long. Try protein-rich yogurt, milk or cheese to help get your protein. Experts suggest spreading protein intake throughout the day may be more beneficial compared to consuming one high protein meal. Choose foods packed with vitamins and minerals. “Freshman 15” originally referred to the typical number of credit hours a full-time college student takes each semester. But pop culture also claims it’s the number of pounds college co-eds gain their first year away from home. The Freshman 15 IS real. 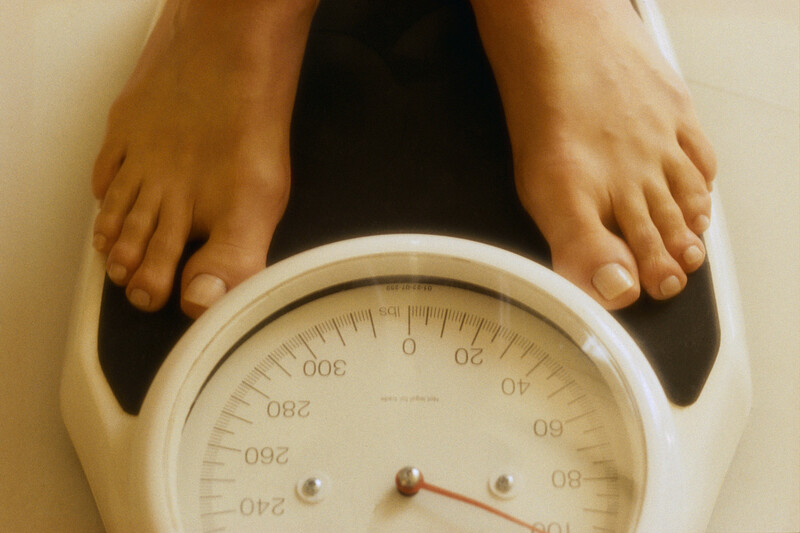 Research shows about 70 percent of students gain weight between the start of college and their sophomore year – but the good news is the “Freshman 15” has lost weight. In reality it is more like the “Freshman 8.” But whether it’s 8 or 15 pounds, it’s the same factor contributing to the obesity epidemic among all Americans – a small increase in daily calories causes significant weight gain over time. College freshmen flunk when it comes to good nutrition. Results from a recent Tufts study show students should get an “F” in eating enough fruits or vegetables, a “D” in eating enough fiber-rich grains and a “C” in consuming enough calcium. On average college students consume only half of the recommended servings of dairy each day. To make the dean’s list, freshmen must make nutrient-rich foods a priority. The biggest culprit may be late night snacking. One study found that, on average, freshmen take in about 500 extra calories between the hours of 8 p.m. and 4 a.m. For late night snacks, I recommend sliced fruit and cheese, yogurt topped with sliced almonds or whole grain cereal with fat-free milk. Stocking up the dorm room: Undergrads should stock up on these fridge favorites: baby carrots and celery, hummus, string cheese, fresh fruit, yogurt, drinkable smoothies, water, pudding, low-fat and fat-free milk and lean sandwich meat. These are healthy snacks perfect for the on-the-go student, and many come in single serve options that can be packed for class. 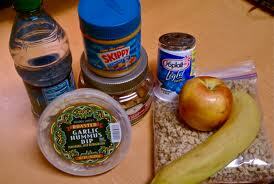 These snacks can be mailed in a surprise care package to hungry freshman. For good health, college students need to exercise at least 30 to 60 minutes most days of the week. It’s easy to include fitness in college life with these five tips. Take a fitness class as a course. Check out the college gym or wellness center. Kids In The Kitchen—-Start Them Early!!!!! I know some people who refuse to teach their kids how to make even a simple sandwich for they don’t want them to mess up the kitchen. GET REAL!!!! 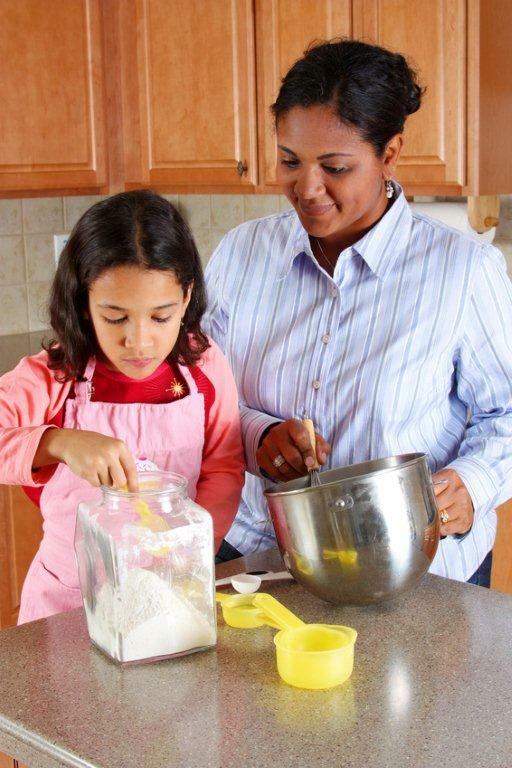 Allow your young ones to understand how to make tasty and nutritious dishes at an early age and to clean up after themselves. Have safe utensils handy and be there to oversee. They will come to love helping at snack and meal times and you can get in plugs about nutrition while working together. If your school-age kids go to a FUEL UP TO PLAY60 school (it’s a health/wellness school program developed by National Dairy Council and the NFL) then they could possibly test-taste new foods at school and they will want to have them at home too. Be willing to listen to their new food wants and get them. If you are lactose intolerant, you can still have dairy! Strategies to manage lactose intolerance should be individualized and can include consuming small amounts of milk at a time, preferably with food, yogurt with live and active cultures, natural cheeses, and lactose-free dairy foods (e.g., lactose-free milk). Lactose-free milk, which comes in various fat levels and flavors, is real milk just without the lactose. The Dairy & Nutrition Council of Indiana (DNCI) worked with students of the Ivy Tech NMC, Culinology Class 2011 to create modern recipes that are lactose free for people whom are lactose intolerant. Since the DNCI is celebrating 80 years of nutrition and dairy education they also paired the moderan lactose free recipe with the traditional recipes (which include lactose). For more of these recipes visit the Dairy & Nutrition Council of Indiana’s booth at Our Land Pavilion at the Indiana State Fair! Cook the pasta rinse, drain and set aside. Prepare the sauce; fill a medium saucepan with Lactaid milk. Turn on medium heat and bring to a simmer. In resalable bag combine butter and flour and blend. Add to the warm milk, and whisk in to fully incorporate. Preheat the oven to broil, or 500˚F. Prepare the filling ingredients; slice the onions, clean the Portobello caps and slice them into strips. Open the can of artichoke hearts and cut each heart in half. Put the artichokes in a bowl and sprinkle with the juice of two lemons. Heat the olive oil in a sauté pan over medium-high heat. Add the sliced onions and cook them until soft and golden-brown. Add the sliced mushrooms and cook until soft, add artichoke hearts and sauté further, mixing occasionally, until the whole mixture looks golden brown (about 5 minutes). Add the cream sauce, basil, tuna, and pasta. Mix well and cook until heated through. Pour mixture into a prepared casserole dish. 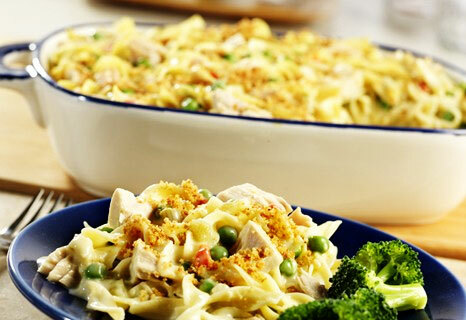 Evenly sprinkle the crunchy mix over the casserole until you have a nice, thick layer. Bake for just a few minutes in the oven until the top is barely browned and crispy. Enjoy! Preheat oven to 400°F. Spray a glass baking dish with butter-flavored vegetable oil. In a large saucepan, sauté onion and celery in the butter until vegetables are barely soft, not mushy. Add mushroom soup, water, peas, and black pepper. Bring to a simmer, stirring to dissolve soup. When it begins to boil, turn off heat and gently fold in tuna with liquid. It’s that time of year again when the sun is shining and everyone likes to get out for some fun and fresh air! Get ready to have some food and fun on international picnic day, June 18th. It’s time for friends and family to get together to enjoy the outdoors. Though it’s not an official holiday recognized by Congress, tons of families, organizations, and social clubs gather to celebrate this special day. The word picnic comes from the French word “piquer” (to pick or peck) and was joined together with the obsolete word “nique” (meaning to trifle). These words were put together to form “picnic” where family and friends “pick” at small or “trifling” amounts of a wide variety of different foods brought by everyone to form a meal. Change it up with a fun new place this year! Try a riverbank, wooded area, garden, meadow, or even a picnic on a boat. No matter 2, 4, or 10 people, a picnic can be an enjoyable experience for everyone and every occasion. Get your friends and family involved in some fun and games like Frisbee golf, a scavenger hunt, horseshoes, charades, or corn hole. To keep the kids entertained try making a picnic coloring book, playing with bubbles, having a water balloon toss, or setting up a play tent. After all the fun and games don’t forget to bring a picnic basket full of delicious foods and drinks for everyone to enjoy. Some quick and easy ideas could include stuffed pita pockets, wraps, fresh summer fruit like strawberries and melon, cheese and crackers, and potato and macaroni salads. Cool down with a refreshing beverage like strawberry lemonade, a glass of ice-cold milk, or a glass of champagne for adults. For a fun and refreshing dessert try a yogurt S’more parfait or some angel food cake with berries. 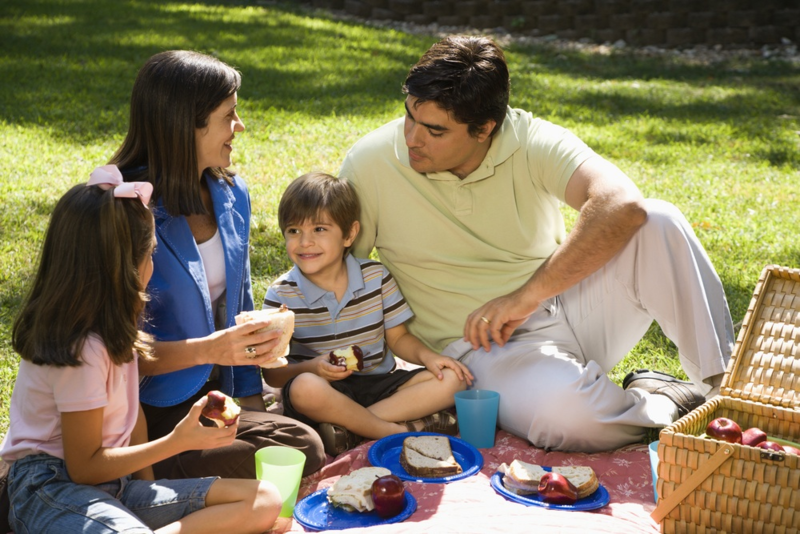 No matter what you pack in your picnic basket just relax and enjoy the company of your friends and family.